Mileage is an important thing for bikes or scooters. If it does not give a mileage after buying a bike or a scooter, it can be costly to use it regularly. If you want to speed up the car very quickly, it is necessary to break the brakes even when it is stopped, which results in decreasing mileage of your bike. The oil burns because it runs out loud. Try to speed up the car gradually; slowly stop the car while breaking down. If you are standing in a long suspension or standing at the level crossing, keep the engine closed. Although bike oil is rarely spent while standing but for more than a minute the bike engines stop good to keep off. If tire pressure is low, it is not only dangerous, but it also increases your use of fuel. Lower air pressure means more friction or friction, so mileage will be less. If the bike is cared for or the proper care, then the bike mileage is always high. Provide specific time intervals according to company guidelines. Correct lubricants and engine oils at the right time. Oil cost is very low. Unplugged gear changes, when switching gear at higher speeds or biking in fewer gears, pressure on the engine and clutch position, which affects mileage. To run the conscience regularly, it is very important to have good clean air in the chamber's co-ordination. Your bike mileage depends on how clean and oxygen you are giving to the full wind combing. So it's very easy to clean the bike air filter regularly. If you get good mileage, you will have to keep the bikes very simple. Additional decoration; For example, if you have to wear extra thick tires in the rear wheel, it will be nice to see the whole bakery decorated in many ways but surely the bike mileage will be reduced. Many people like to ride very loudly. But it has a harmful side. As the speed of the bike increases frequently, as the bike mileage decreases on one hand, so are other losses of the bike. Gradually increase bikes accelerate while driving. Try to bike as long as possible with a certain speed. This will increase your bike mileage. Avoid the road that has high traffic pressure, the traffic jam is more likely. Long-speed biking in low gear causes harmful effects on mileage. Bike is a good job at a certain speed, but if you run your bike in slow gear, it will be harmful to your bike and your bike mileage will also be reduced. Try to use the maximum gear as soon as possible while riding the bike. It helps keep the engine speed up and running at the same speed in the road, which helps to increase bike mileage. If you are servicing at specific times and changing certain parts at the right time according to company advice, your bike will be good and bike mileage will also increase. If using high quality oil, it will not only increase your bike mileage, as well as help to keep your bike engine well. While riding the bike, try to use Clutch only for gear changes Because it's a bad habit that reduces your bike mileage. If you do not get a specific mileage even after proper care of the bike, then the bike carburetor is clean or dirty, it must be tested once. If your bike chain is not smooth or slippery, then the engine needs extra power to change the chain. This usually requires more oil then. The issue of oil and mileage is very important to all bike and Scottie drivers. 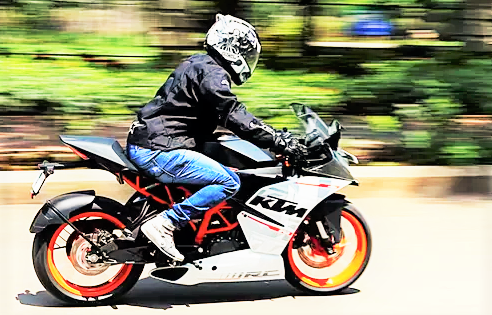 And these tips will help you to keep your bike better and raise mileage properly.